Clothing/Jewelry Description Unknown, but she usually wears Lee jeans, a t-shirt, a denim jacket or a black leather jacket, sneakers and black onyx stud earrings. Distinguishing Characteristics Caucasian female. Brown hair, blue eyes. Allen has a scar on her upper lip. Her ears are pierced and she has a tattoo of the astrological sign for Libra on her upper arm. Her nickname is Debbie. Allen was last seen in Kill Devill Hills, North Carolina on February 8, 1992. She left her job at the Sea Ranch II marina at 10:00 p.m. and walked to the motel where she lived with her boyfriend. Her boyfriend stated they got into an argument and Allen left and never returned. She has never been heard from again. A truck driver found her purse beside the road in front of the marina a few days later. 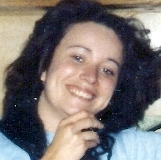 Allen's family reported her missing on June 24, 1992, four and a half months after she was last seen. It's uncharacteristic of Allen to be out of touch with her family. She is a U.S. Navy veteran. Her case remains unsolved. Updated 1 time since October 12, 2004. Last updated November 2, 2017; casefile added.